Not only would that curb Tarrant’s ability to grandstand during his trial, he will likely be sentenced to a longer minimum non-parole period if he’s found guilty. “To minimise the impact on victims, straight murder is easier to prove,” Mr Burns told NZ news website Stuff. 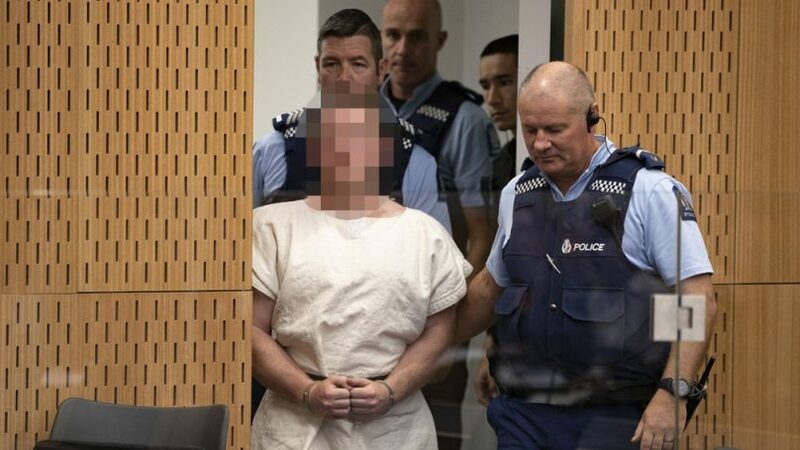 “There’s a lot of debate on whether he should be charged under terrorism legislation or whether he should be charged under the Crimes Act for the simple act of murder – in many ways it’s academic debate,” he said. “Quite shocked and sad by what had happened, but in dealing with this fellow, I had to put that to one side and just deal with what’s before me,” he said. “We detected nothing extraordinary about this licence holder,” Mr Tipple said. “To make our community safer, the time to act is now,” she said yesterday. “If anyone has a weapon that either they should not be in possession of, or they have concern over the events of Friday, they are welcome at any time to surrender that weapon to police,” she said. There are an estimated 1.5 million firearms in New Zealand – roughly one for every three citizens and more than double the rate in Australia. There’s no restriction on the number of guns or quantity of ammunition a licensed gun owner can have and pest control is legally considered a reason to own a military-style semi-automatic weapon.